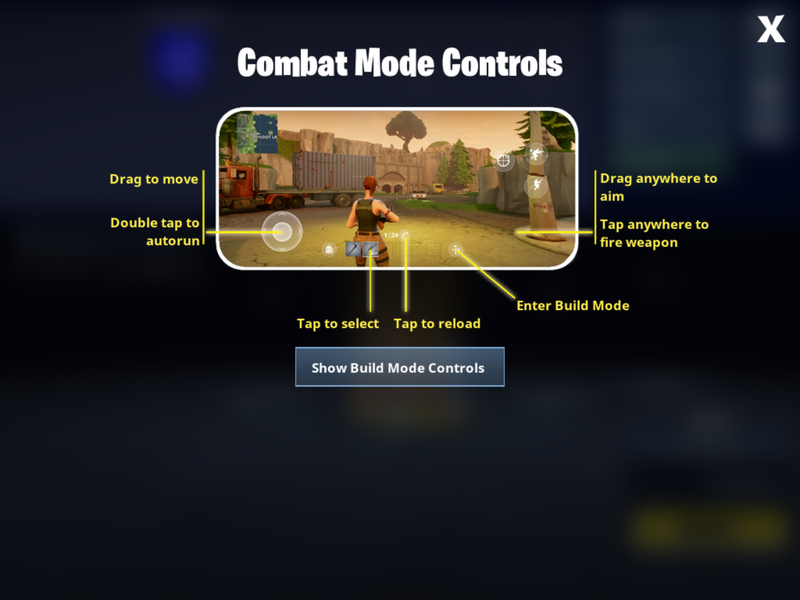 Fortnite is now available on mobile, which means an entirely new control scheme to learn if you want to enjoy the battle royale experience on the go. The control scheme is pretty standard for a third-person shooter with touch controls, but the building definitely throws a wrinkle into things. Thankfully, the pre-game lobby will give you a nice opportunity to mess around with things and get accustomed to how it feels to play. You drag the left side of the screen to move and the right side of the screen to aim, as if there were analog sticks there. To fire your weapon, you tap on the right side of the screen. Selecting which items in your inventory to use is as simple as pressing them at the bottom of the screen. To aim down sights, crouch, or jump, you need to press an on-screen button. Oh, and since it's very important to drop some swag on your dead enemies, the emote button is in the top right of the gameplay screen. Fortnite's intuitive building mode is where things get tricky. 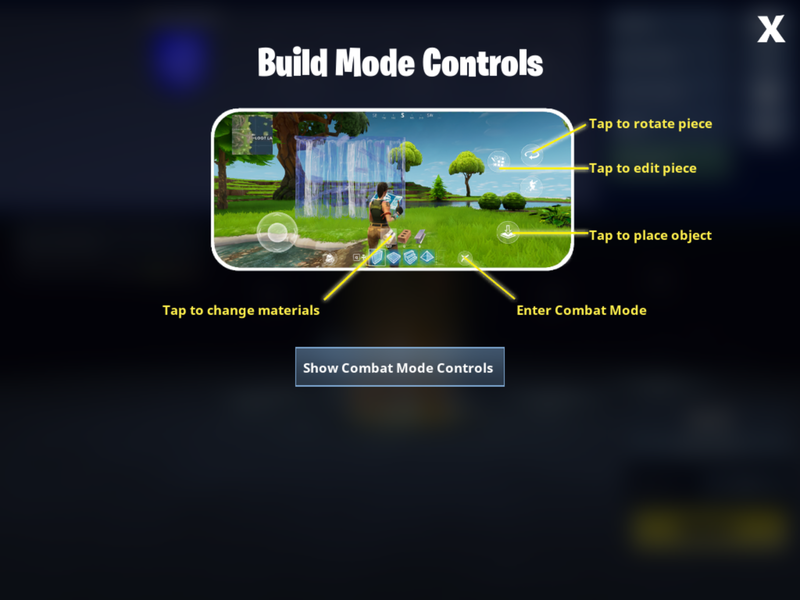 Pressing the build button will bring up a new UI, which allows you to change between materials, what you want to build, editing the buildings you've placed, and rotating building options. Building definitely feels a bit difficult on touch controls, but moving and shooting is pretty fluid. It will all take some practice and getting used to, or you can wait until Epic Games adds bluetooth controller support somewhere down the line. Either way, the game runs pretty well and is a faithful Fortnite experience.